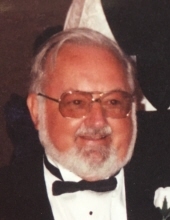 Robert E. Lauer, 81, of Ludlow passed away unexpectedly on Sunday February 3, 2019 surrounded by his loving family. Born in York, Pennsylvania to Stuart and Emma (Gallagher) Lauer, he was a graduate of William Penn Senior High School and WNEU. After serving in the Air Force, Bob was employed for 34 years at United Technologies, a division of Hamilton Standard. For the last 49 years he was active in several Catholic churches throughout the diocese. Bob was involved with the Men’s Club, bingo manager, pitch night and he ran the casino trips at Mary Mother of Hope in Springfield. He was an avid golfer, enjoyed bowling and playing cards. He also was proud to coach his children's activities. Bob was the youngest of 8 children he was predeceased by his brothers Lloyd, Harry, Clarence, Chuck and George. He was also predeceased by his sisters Dorothy Fiddler and Jeannette Lehigh. Bob leaves in his loving memory, the love of his life, his wife of 59 years Judith (Goodreau) Lauer, his loving children Robert Lauer Jr. and his wife Lisa of Wilbraham, Sharon Lauer of Ludlow and Kevin Lauer and his wife Lisa also of Ludlow; grandchildren Stacey (Seth), Anthony, Shelby and Ashley and 2 great-grandsons Blake and Gavin. He also leaves behind many nieces and nephews in Massachusetts and PA. Funeral services for Robert will be held on Saturday, February 9th at 9:45am from Ludlow Funeral Home with Liturgy of Christian Burial at 11:00am in Mary Mother of Hope Church, 840 Page Blvd in Springfield followed by burial with Military Honors in Island Pond Cemetery. Visiting hours are Friday evening from 4:00-7:00pm at Ludlow Funeral Home, 432 East Street, Ludlow. In lieu of flowers the family requests that donations be made in Bob’s memory to Mary Mother of Hope Church, 840 Page Blvd, Springfield. To send flowers or a remembrance gift to the family of Robert E. Lauer, please visit our Tribute Store. "Email Address" would like to share the life celebration of Robert E. Lauer. Click on the "link" to go to share a favorite memory or leave a condolence message for the family.